​Sandwatch in Belize has been championed by the World Wildlife Fund (WWF) and linked to their sea turtle conservation programme. 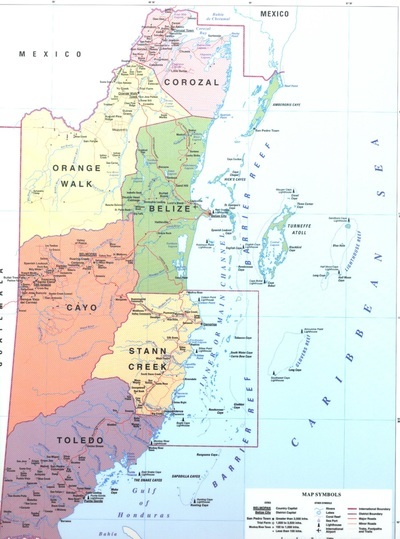 The University of Belize and ECOMAR, a Belize based marine conservation, have also expressed interest in Sandwatch. 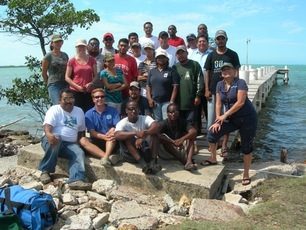 The Sandwatch Foundation was contacted in May 2011 by Linda Searle of ECOMAR (www.ecomarbelize.org) a Belize based marine conservation organization. She and her organization were interested in combining Sandwatch into their existing environmental studies particularly as they relate to the protection of marine turtles and their nesting environments. As Ms. Searle reports "The field trip went really well. I am really excited about this aspect of the project because it is new to us in Belize. We monitor just about everything else, but not our beaches! But now we can thanks to you and everyone who assisted in getting these manuals to us"